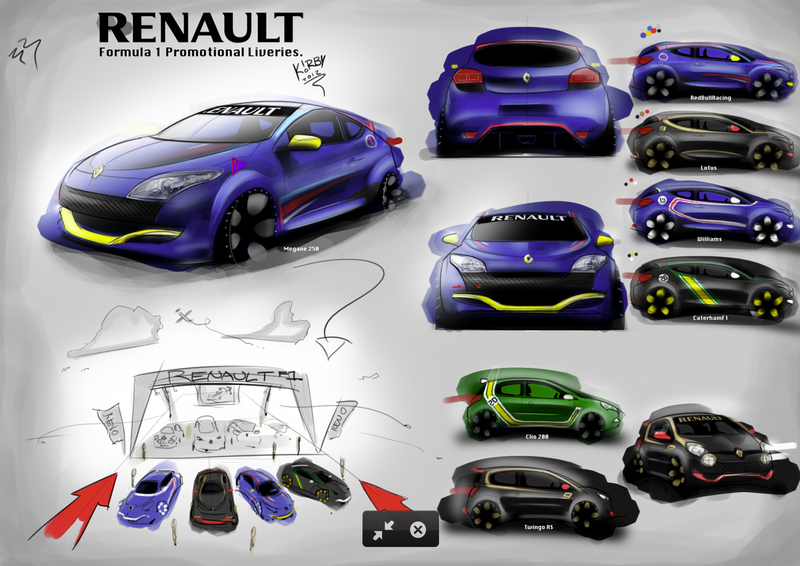 After the success of my LRGP Clio, I thought that it would be great to dress a few Megane 265’s or Twingo’s up as the Renault powered F1 teams at the 2013 F1 GP! I proposed the idea to the head of Renault Australia Marketing but he didn’t seem keen on the idea whats so ever. Worst thing that could happen is if they went through with the idea and didn’t ask for my help or permission..
Let me know which Livery is your favourite in the comments! 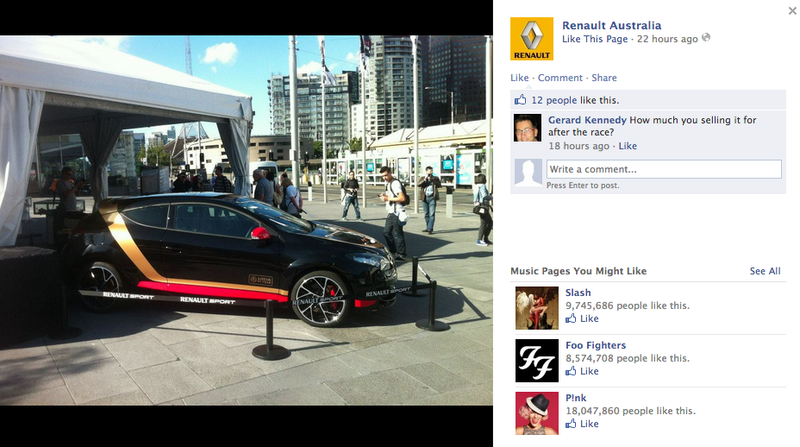 UPDATE – As I was wandering through Federation Square on my birthday (2.3.13) I spotted a Promotional Display with the Renault Megane dressed up in the Lotus black and gold livery, which they have also posted on the Renault Australia Facebook page. 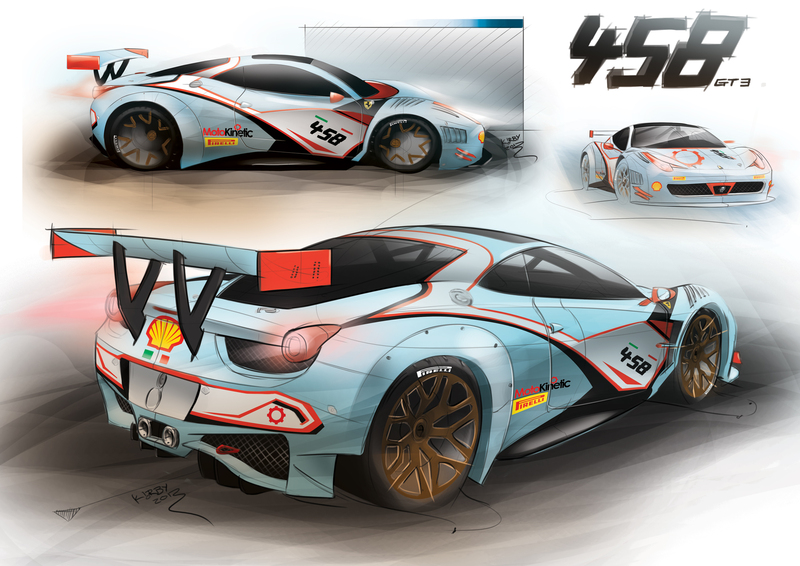 I had to contact them shortly after to learn that “We had to use artwork that was developed by the team and approved by Renault Sport”.